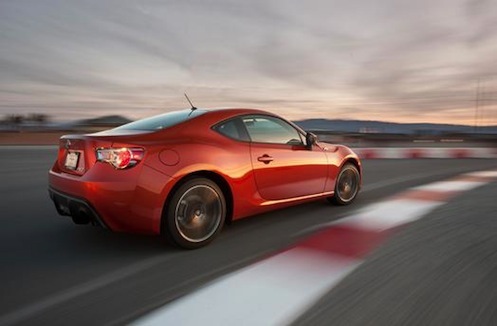 Toyota developing PS3-compatible track box for FR-S and Subaru BRZ. Toyota is developing a new event recorder for the GT86, Scion FR-S and Subaru BRZ that will allow drivers to upload data from the track to their PS3s. Racing simulators like Forza Motorsports and Gran Turismo are extremely popular with their realistic driving and race track experience. It allows gamers to get their hands on a Ferrari 250 Testa Rossa and drive on the Nurburgring Grand Prix Circuit. But up until now, drivers have not been able to drive their own car in one of the games. But as Digital Trends reports, that could all change with the new “black box” technology that Toyota is developing. Toyota is developing a new “black box” technology for its GT86, Scion FR-S and Subaru BRZ that will allow drivers to record data from their personal track days and put it on an owner’s PlayStation 3. The technology is not new as black box recorders are used to record specific automobile data in cars to determine the cause of crashes. And professional race teams use this telemetric data by way of sensors in the race car that pick up everything from lap times to sensitive data like minor throttle changes and braking application by the driver. This existing technology will be linked by Toyota with video games and will give Scion FR-S and Subaru BRZ owners a whole new way of interacting with their cars. Toyota has not said what data the system would record, but it is likely that top speed, average speed and lap times will be available for download to compare with other drivers around the world. Toyota has already begun to map tracks from around the globe that will allow the virtual component to be a part of the system. Toyota will include an online tutorial and demonstrations, which will help drivers improve their lap times. Drivers of the Japanese sports cars will be able to go to the track and have their own race team onboard that will record their results. They can then watch their laps on a PS3, compare their results with other drivers and see where they need improvement. Toyota has not given a release date, but they will make it available on new Toyota GT86s in Japan and Europe, and the Scion FR-S and the Subaru BRZ sports cars here in the U.S. It will be available for retrofitting onto older models. The already fun-to-drive Scion FR-S and Subaru BRZ will be the first sports cars to cross over to the popular world of gaming.